“Vamadeva said, ‘The king should win victories without battles. Victoriesachieved by battles are not spoken of highly. O monarch, by the wise. “Bhishma said, ‘I then smilingly addressed Rama stationed for battle,saying,–Myself on my car, I do not wish to fight with thee that art onthe earth! 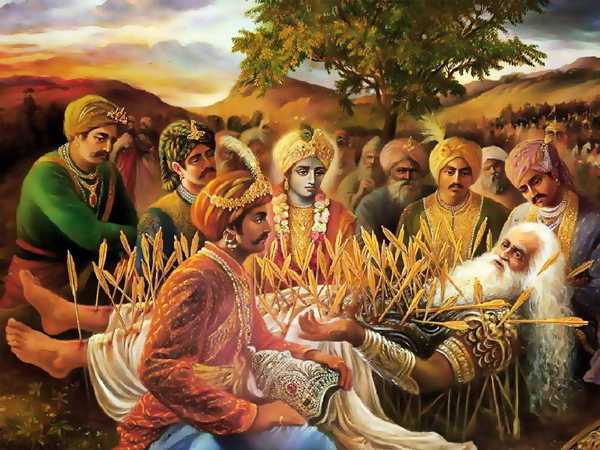 “Vasudeva continued, ‘O king, afflicted with the arrows of Salwa, whenPradyumna became senseless the Vrishnis who had come to the fight wereall disheartened and filled with grief!